The LIINES is pleased to announce the acceptance of the paper entitled: “Demand Side Management in a Day-Ahead Wholesale Market: A Comparison of Industrial & Social Welfare Approaches” to Applied Energy Journal for publication. The paper is authored by Bo Jiang, Prof. Amro M. Farid, and Prof. Kamal Youcef-Toumi. The intermittent and unpredictable nature of renewable energy brings operational challenges to electrical grid reliability. The fast fluctuations in renewable energy generation require high ramping capability which must be met by dispatchable energy resources. 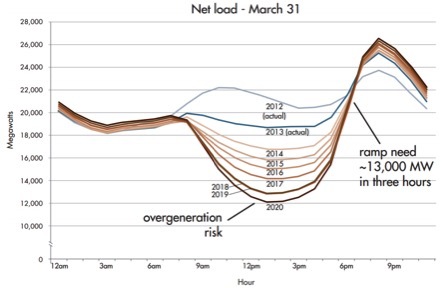 In contrast, Demand Side management (DSM) with its ability to allow customers to adjust electricity consumption in response to market signals has been recognized as an efficient way to shape load profiles and mitigate the variable effects of renewable energy as well as to reduce system costs. However, the academic and industrial literature have taken divergent approaches to DSM implementation. While the popular approach among academia adopts a social welfare maximization formulation, defined as the net benefit from electricity consumption measured from zero, the industrial practice introduces an estimated baseline. This baseline represents the counterfactual electricity consumption that would have occurred without DSM, and customers are compensated according to their load reduction from this predefined electricity consumption baseline. In response to the academic and industrial literature gap, our paper rigorously compares these two different approaches in a day-ahead wholesale market context. We developed models for the two methods using the same mathematical formalism and compared them analytically as well as in a test case using RTS-1996 reliability testing system. The comparison of the two models showed that a proper reconciliation of the two models might make them dispatch in fundamentally the same way, but only under very specific conditions that are rarely met in practice. While the social welfare model uses a stochastic net load composed of two terms, the industrial DSM model uses a stochastic net load composed of three terms including the additional baseline term. While very much discouraged, customers have an implicit incentive to surreptitiously inflate the administrative baseline in order to receive greater financial compensation. An artificially inflated baseline is shown to result in a higher resource dispatch and higher system costs. The high resource scheduling due to inflated baseline likely require more control activity in subsequent layers of enterprise control including security constrained economic dispatch and regulation service layer. Future work will continue to explore the technical and economic effects of erroneous industrial baseline. Bo Jiang conducted this research in collaboration with her Master’s thesis advisor Prof. Amro M. Farid and Prof. Kamal Youcef-Toumi at Massachusetts Institute of Technology. Her research interests include renewable energy integration, power system operations and optimization. Bo is now pursuing her PhD at MIT Mechanical Engineering Department. In a recent blog post, we shared that Prof. Amro M. Farid and Dr. Aramazd Muzhikyan authored and presented a paper entitled “The Need for Holistic Assessment Methods for the Future Electricity Grid” at this year’s GCC CIGRE conference held in Abu Dhabi. This work has now received the Best Applied Research Paper Award! Prof. Farid accepted the award on behalf of the LIINES from Eng. Salem Harithi (Network Service Director of Abu Dhabi Water & Electricity Authority.) The associated monetary prize will be invested back into the laboratory’s research activities. Full text of the paper and related work may be found through the LIINES Website under paper code [EWN-C08] : http://amfarid.scripts.mit.edu publications page. In recent months, we at the Laboratory for Intelligent Integrated Networks of Engineering Systems have been arguing for “Enterprise Control” in support of the future developments of the electricity grid. This work has provoked particular interest from the Artificial Intelligence research community. To that end, Prof. Amro M. Farid was invited on November 15th to give a lecture entitled “Intelligent Enterprise Control of Future Electric Power Systems” at the Czech Technical University Department of Cybernetics in Prague. This presentation argues the need for holistic assessment methods and then highlights our recent work on the development of enterprise control strategies. It draws from multiple LIINES publications lead by Dr. Aramazd Muzhikyan and Dr. Sergio Rivera. In recent months, we at the Laboratory for Intelligent Integrated Networks of Engineering Systems have been arguing for “Enterprise Control” in support of the future developments of the electricity grid. In other words, the power grid’s primary, secondary and tertiary control must be addressed simultaneously to achieve both reliability as well as economic objectives. These arguments have been presented in various forums. The most recent of these is an extensive literature review entitled “The Need for Holistic Assessment Methods for the Future Electricity Grid” authored by Prof. Amro M. Farid and Dr. Aramazd Muzhikyan. Prof. Farid presented this work at the 2013 GCC CIGRE conference held in Abu Dhabi on November 18-20. Today, November 27, 2012, the UAE-GCC Cigre Event on System Performance Development & Renewable Energy was held on the ADWEA-TransCo premises in downtown Abu Dhabi. Members of the LIINES in addition to other Masdar Institute faculty and students joined industrial practitioners in the workshop. In all, subjects ranging from future trends in renewable energy to technical discussions on microgrids and power system protection were addressed. The Cigré — le Conseil international des grands réseaux électriques — the International Council of Large Electric Systems was originally founded in Paris, France in 1921. Today, it serves as a professional society for promoting both academic and industrial collaboration to improve the power systems of today and tomorrow.